Manager William Lam invests primarily in the shares of companies in Asia and Australasia (excluding Japan) in this concentrated, value-orientated fund. He looks for companies where the market is underestimating earnings growth and stocks are chosen with a three-year investment horizon, to give the share price time to appreciate to a level he believes to be fair value. Please note, Invesco is the new name for Invesco Perpetual effective October 2018. We what like about this fund is the very different approach and philosophy manager William Lam takes. The behavioural error of mixing up good business with good investments can often lead to trouble, but William's very pragmatic approach and flexible strategy is designed to separate these two elements. This means the portfolio will move around – demonstrating true active management – to areas of the market where he sees the best value. It can lead to exposure where other managers fear to tread with a value tilt that the industry has recently shied away from. 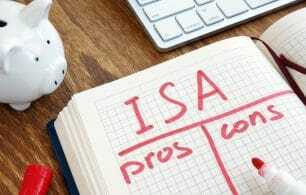 Founded in 1969, Invesco forms part of Invesco Ltd, a global independent investment management company with more than 740 dedicated investment professionals in more than 20 countries. Its focus is on equities but it also invests in fixed interest and other asset types. It was awarded the Elite Provider for Equities Rating in 2016, 2017 and 2018. 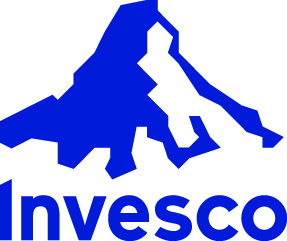 In October 2018, Invesco dropped their Perpetual branding and are simply known as Invesco. 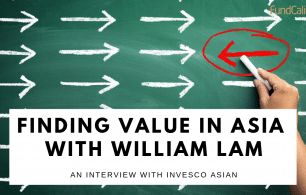 William Lam has co-managed Invesco Asian since April 2015. He took sole responsibility in 2017. 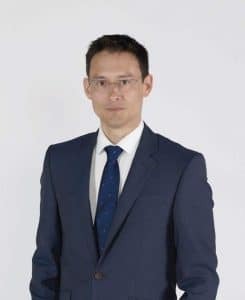 William is a qualified accountant, having previous worked at Deloitte, and also holds an MA from Oxford University and an MSc from York University. He moved into investment management in 2001, taking a role with Orbis Investment Management as their global investment analyst. He subsequently moved across to Invesco in 2006. As part of the company's succession planning, William was made co-head of emerging markets in 2018. A share price is just the collective view of hundreds of human beings, who can often be unimaginative, over-emotional, and too short-termist. 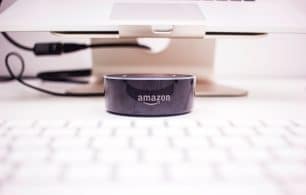 The process is designed to differentiate between good companies and good investments – the two are not always the same. William looks for those companies whose share prices are substantially below his estimate of fair value. He does this using two steps. The first is calculating the expected growth in earnings, based on historic growth rates, market trends, a company’s competitive advantage and the quality of their management. This is then combined with the team's view of a fair valuation based on the strength of the balance sheet, cash flow and future growth (in absolute terms and versus the company's own history). This process will narrow the universe down to 50-70 holdings for Invesco Asian, with a short-list of 30 reserve candidates that can be added should valuations allow. The process tends to lead the team to focus on unloved areas of the market, as this is where many undervalued companies can be found. Risk analysis is built in throughout the process. When stocks are analysed, their liquidity (ability to buy and sell shares quickly) and downside protection is factored in to any valuation metric. This will affect whether the consider it a good investment, over simply a good company. There are further risk controls at the portfolio construction level. The portfolio is assessed for any specific country or sector bias and new names will need to diversify away from this. Invesco Asian is also monitored by a dedicated risk team. There is a 'CIO Challenge' function meaning William can be queried on the risk of any one of his holdings at any point. The information, data, analyses, and opinions contained herein (1) include the proprietary information of FundCalibre, (2) may not be copied or redistributed without prior permission, (3) do not constitute investment advice offered by FundCalibre, (4) are provided solely for informational purposes and therefore are not an offer to buy or sell a fund, and (5) are not warranted to be correct, complete, or accurate. FundCalibre shall not be responsible for any trading decisions, damages, or other losses resulting from, or related to, this information, data, analyses, or opinions or their use. The Elite Fund rating is subjective in nature and reflects FundCalibre’s current expectations of future events/behaviour as they relate to a particular fund. Because such events/behaviour may turn out to be different than expected, FundCalibre does not guarantee that a fund will perform in line with its FundCalibre benchmark. Likewise, the Elite Fund rating should not be seen as any sort of guarantee or assessment of the creditworthiness of a fund nor of its underlying securities and should not be used as the sole basis for making any investment decision. FundCalibre disclaims any responsibility for trading decisions, damages or other losses resulting from any use of the Elite Fund rating. All performance data, as well as fund size, OCF, AMC, annual income (historic), share price discount or premium, is sourced directly from FE Analytics, and will change periodically.